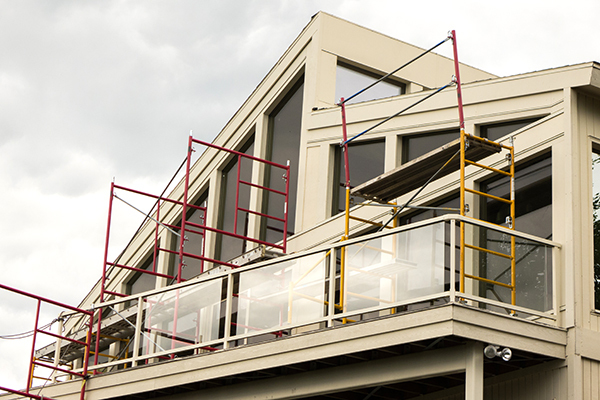 We install new and replacement windows, and thermopane window glass replacement when called for. With this client, we had a beautiful view of Lake Superior and the St. Louis River, which means a pretty exposed site. 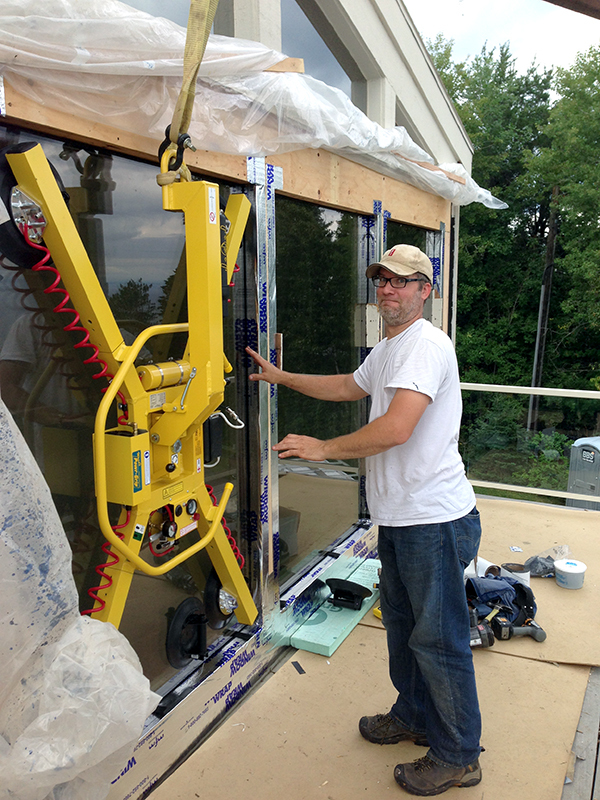 We replaced the 30-year-old thermopanes with the assistance of this nifty yellow pneumatic glass power lifting tool. 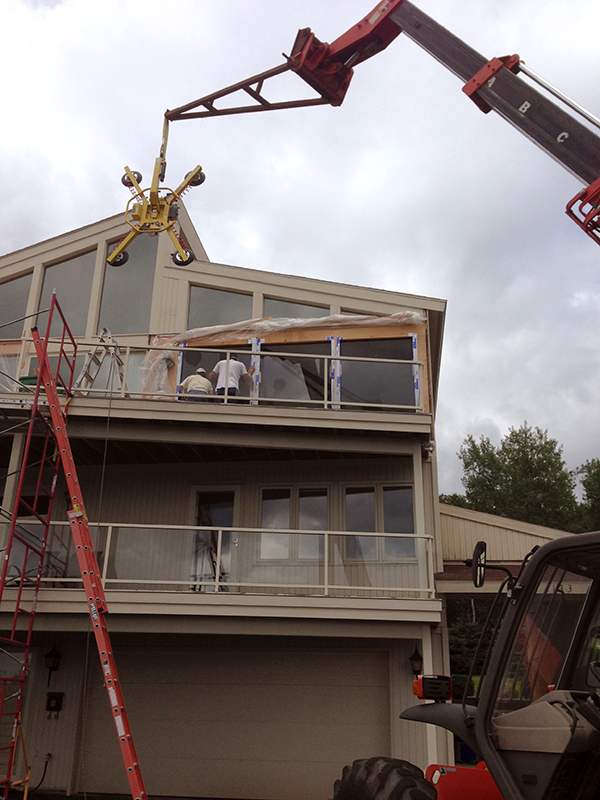 Some of the panes weighed in at 460 pounds, so we were happy to have the assistance.